As the warm weather approaches, so does the risk for additional pest pressures. Flies, cockroaches and ants are three of the dirtiest pests restaurants should be concerned about that shouldn’t be part of your diners’ experience. One pest sighting in a restaurant could mean the difference between a 5-star review and an onslaught of negative feedback, so it’s important to take the necessary measures to prevent the biggest pest threats. Cockroaches have been around for thousands of years, so they are one of the most highly adaptive and resilient pests. Unfortunately, their adaptability means they are resistant to some pest control treatments, including those sold to consumers. Restaurants provide everything cockroaches need to thrive, including a steady supply of food, water and shelter. They are also excellent at hiding in dark cracks and crevices. Because they are nocturnal, spotting one crawling across the floor during the day can be a sign that there may be many more hiding behind the scenes. If cockroaches reach the dining room area, they can spread diseases to your patrons such as E. coli and Salmonella. Keeping these pests out in the first place is the best way to ensure your diners don’t see them. Flies may be small, but they are among the filthiest of all pests, carrying diseases such as typhoid, cholera and Salmonella. 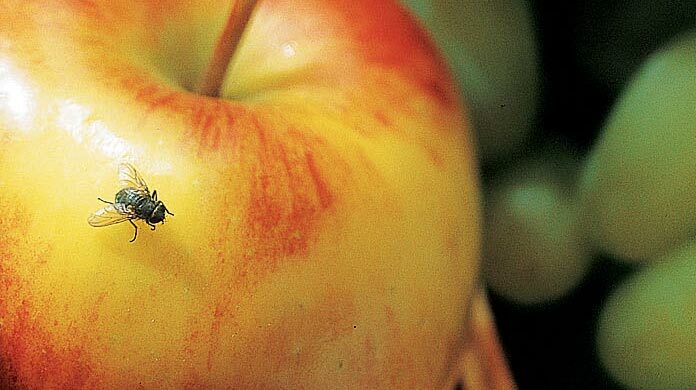 They feed on garbage, feces, carcasses and food waste, so flies spend much of their time in unsanitary areas. Surprisingly, many patrons don’t recognize just how filthy flies are – in fact, 61 percent of patrons in a 2016 survey reported that they would continue to eat a meal after a fly lands on it. When they make a quick stop on a diner’s plate of food or utensils, they deposit thousands of bacteria from their recent meal in just seconds. This transmission of bacteria can result in food poisoning, diarrhea and bloodstream infections. 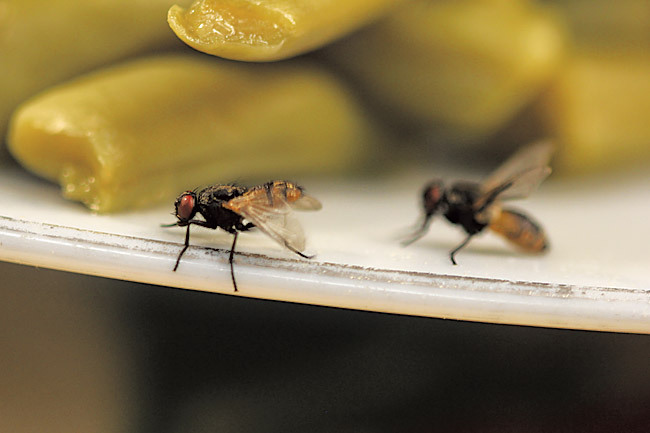 Even though diners may not be aware of the threat flies pose, they are likely to associate the food they ate at your restaurant with any potential illness they may have following their meal. These pests aren’t diminishing in numbers either. Flies breed rapidly, so it’s important to be proactive in your treatment and maintain a thorough pest management program. Ants outnumber humans 14,000 to one, and they are the number one structural invader on the planet. While they may not raise the alarm bells for diners that cockroaches do, they are still a pest to be reckoned with. Like most pests, they are attracted to sugar, but depending on the species, ants may also dine on plant material or human food, particularly greasy, fatty foods. Ants are social creatures, so a lone ant is indicative of thousands tucked away in a colony. Ask your pest management provider to help discover the pheromone trail, which should also help to uncover the point of entry and the nest. It’s best to document your findings. Take note of moisture, structural damage and the presence of swarmers, the winged adults that can reproduce to start a colony. Ants may be considered a constant in any outdoor dining experience, but they shouldn’t be welcome at your restaurant. So what can you do to ensure these pests don’t become regulars at your restaurant? Implementing an Integrated Pest Management (IPM) program is a proactive approach that focuses on reducing conducive conditions in an ongoing cycle of assessing the issues, implementing corrective actions and monitoring for improvements. Involving your employees in this process is critical to its success. Here are some important things for your staff to focus on as part of an IPM program. Reduce the smells that attract pests by lining trash cans, keeping lids tightly shut and taking trash to the dumpster frequently. Wash down trash cans and dumpsters regularly and locate dumpsters as far away from the building as possible. Monitor and clean floor drains on a regular basis to keep them from clogging. Wipe down countertops and tables regularly and clean up any spills immediately. Repair sources of moisture, including leaky sinks, vending machines or ice machines. Sweep, mop and vacuum floors. Use a HEPA (high efficiency particulate air) filter to remove dust and debris from small cracks and crevices. Install door sweeps and weather stripping to close gaps around doors and windows. Use screens on windows and doors. Inspect the exterior of your building for cracks and crevices regularly, as well as gaps that can develop around utility pipes. Seal any openings with weather resistant sealant. Keep food in tightly sealed containers in the kitchen on shelves above the floor. Educate your staff on pest threats, attractants and ways to help prevent them. Ask your pest management provider to provide a training session with your staff. Encourage employees to report any pest sightings immediately. Work closely with your pest control provider to implement an Integrated Pest Management program and determine potential issues before they turn into an infestation. Regularly following the tips above will help your restaurant keep diners in and the biggest pest threats out.